Since I am doing a city tour in Yangon I might as well have a look at the colonial buildings in downtown Yangon. 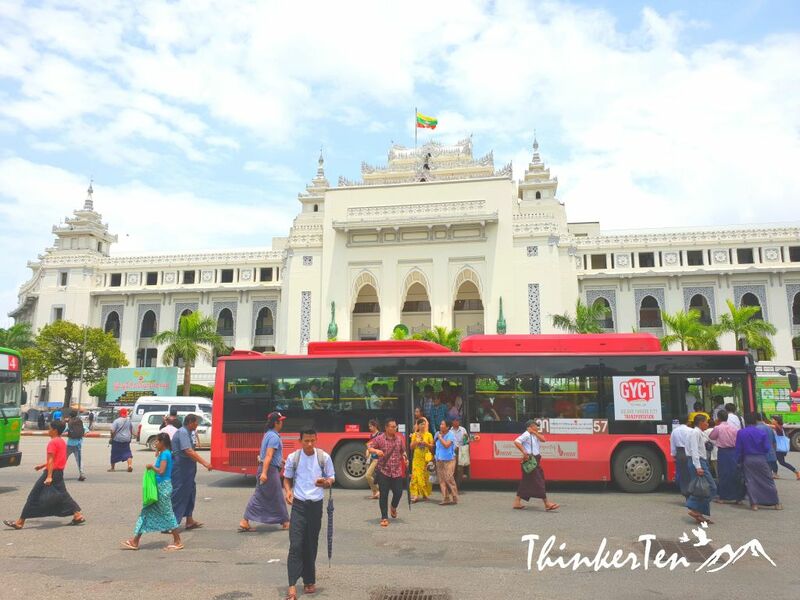 The white grand building is one of the biggest buildings in Yangon – named City Hall which was constucted in 1926. The architecture is truly stunning, huge and in white color. It is also enlisted on the Yangon City Heritage List. 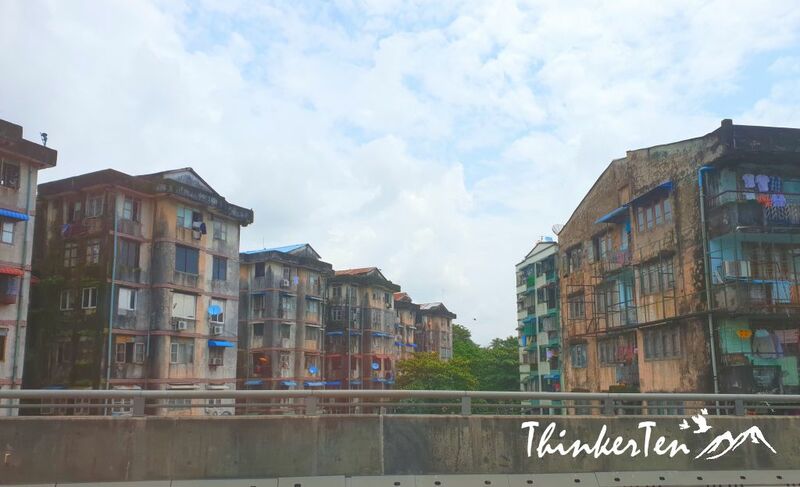 It is located opposite of Maha Bandula Park, you can’t miss this beautiful buildings if you are in downtown Yangon. One of the best buildings in Yangon I have to say. There is belcony at the City Hall building, also where General Aung San, father of Aung San Su Kyi gave his speech to the public. Maha Bandula Park is the greenery garden in the center of downtown Yangon, not far from the City Hall Building. If you come in the evening, you see many people relaxing here. 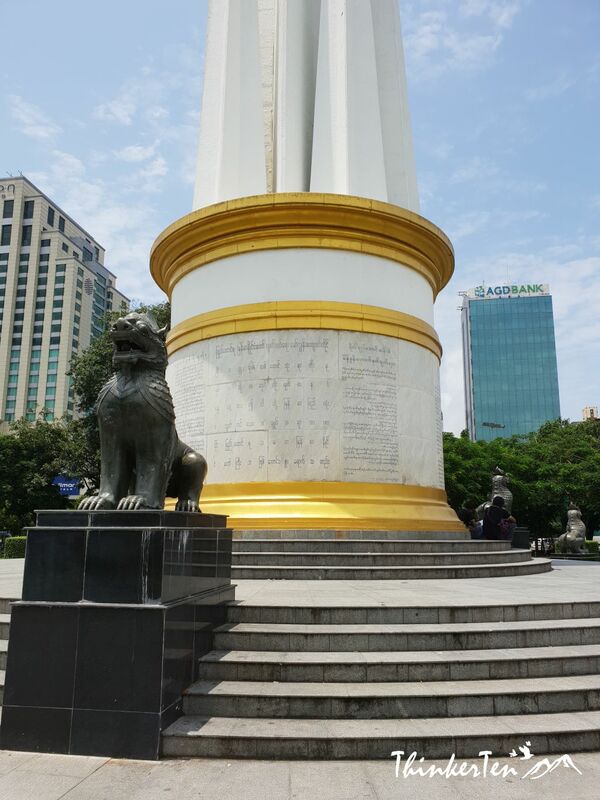 The park is named after General Maha Bandula who fought against the British in the First Anglo-Burmese War (1824-1826). 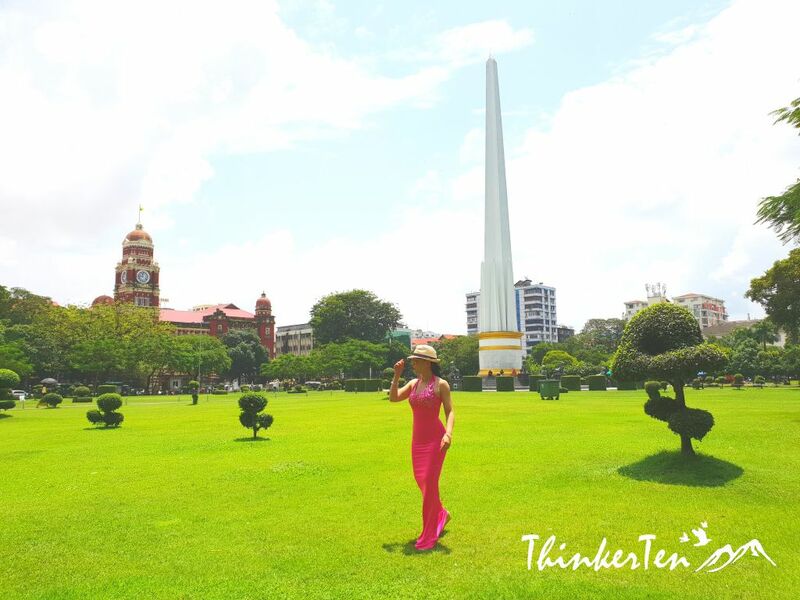 There is an Independence Monument, an obelisk in commemoration of Burmese independence from the British planted in the middle of the park. This greenery garden park is like an oasis in the heart of the city. If you walk out from the oasis, you hear noises and see traffic jam but once you are inside the garden, you feel calm and peaceful. But, beware of beggars who run to you asking for money or someone who is trying to sell you postcards. They do no harm, don’t worry. I seen this lion looking statues everywhere in Myanmar. It is actually called Chinthe, told by our taxi driver. The Chinthe is a lion-like creature that is often seen at the entrance of pagodas and temples in Myanmar. Chinthe Statue in the centre of Maha Bandula Garden looking over High Court Yangon. Chinthe is always in pairs and serve to protect pagoda. At the entrance gate of Shwedagon Pagoda, there are also a giant pair of chinthes. Another iconic colonial buildings would be the High Court. There is a bell clock tower and rooftop, but the clock is not working. The High Court building is also listed on the Yangon City Heritage list. 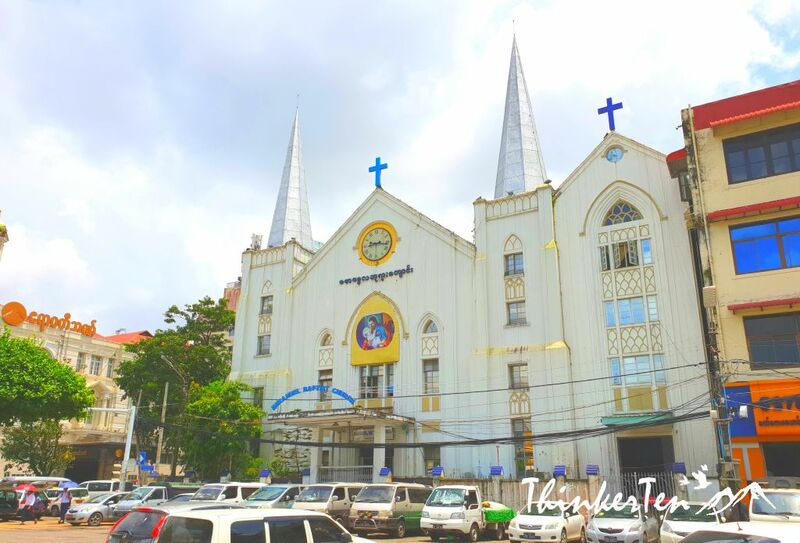 Built in 1885 by an American missionary, one of the oldest Baptist churches in Yangon. Located next to of Maha Bandula Park. Sule Pagoda is also located in the heart of Yangon, near City Hall. 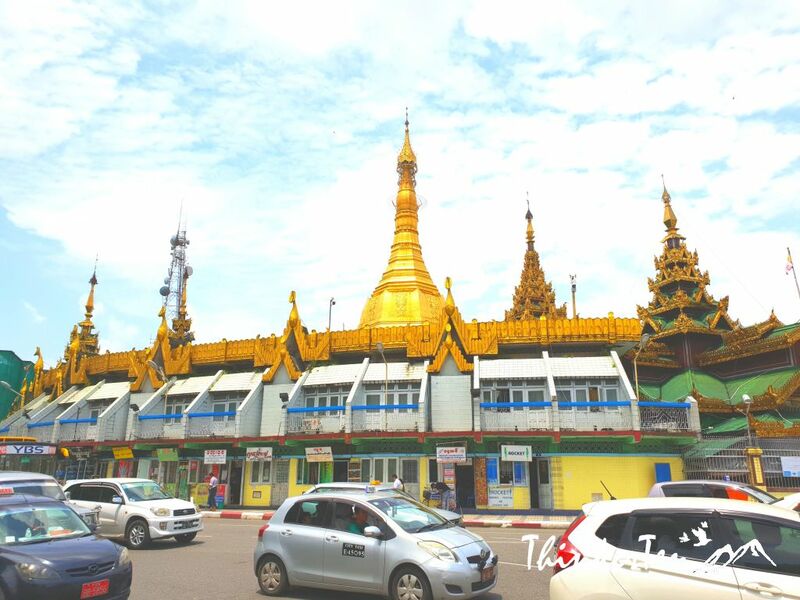 The pagoda is about 48 meter high with golden dome, similar to other pagoda you see in Myanmar. What make Sule Pagoda unique are : It is located in the roundabout and the stupa is in octagonal shape. Sule Pagoda is so much smaller compared to Shwedagon Pagoda. There are shops surrounded the exterior base of the temple. It is more stunning to view it from the top or from outside. The Sule Pagoda was used to be a functional meeting point for anti-government and pro-democracy protesters during previous protests in Myanmar. You don’t have to go in as it is better to see if from the outside or from the top. More grand looking at night when the light is up. Believe it or not, motorbikes are ban in Yangon. You don’t see any motorbike, except Police motor bikes. However motorbikes are allowed in the outskirt of Yangon, not in Yangon city. Some told the ban is that a person on a motorbike made a threatening gesture to a military general. He gotten so angry and implement the ban in Yangon City. The streets are clogged with old vehicles, (most are imported scrapped cars from Japan) & you see trishaws, only one seater and some bicycles. 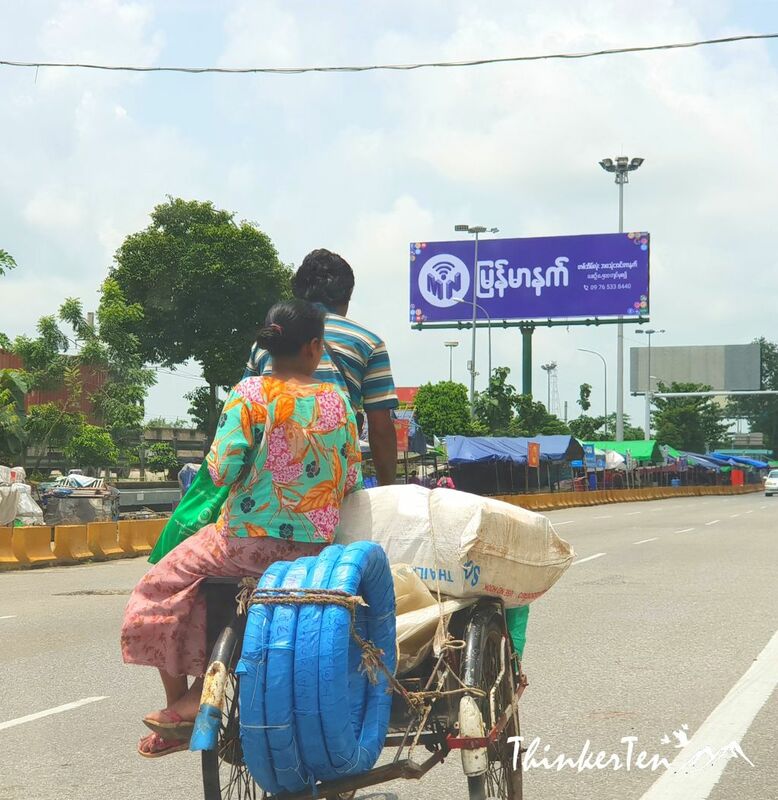 Similar to Vietnam, people in Myanmar do not use pedestrian crossing to cross the road and no over bridge crossing. I suggest you to cross the road together with the locals, preferable in a group. That way the chances of getting hit is lower. The public buses in front of the City Hall buildings are old fashion buses with window open, no air conditioning. Pack with local commuters and a conductor hangs at the side of the open door, seems very dangerous for us but look very normal for the local. 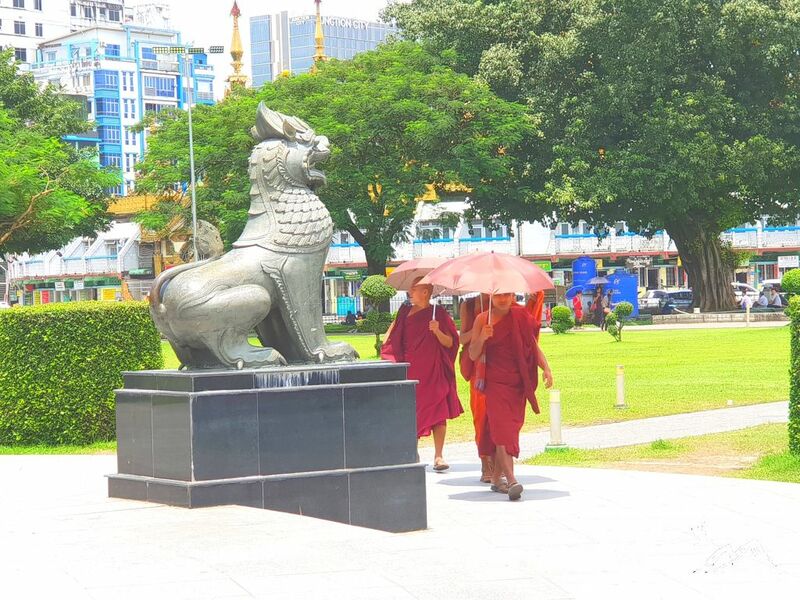 In the heart of the city of Yangon boast Colonial Buildings, Sule Pagoda and Maha Bandula Park. 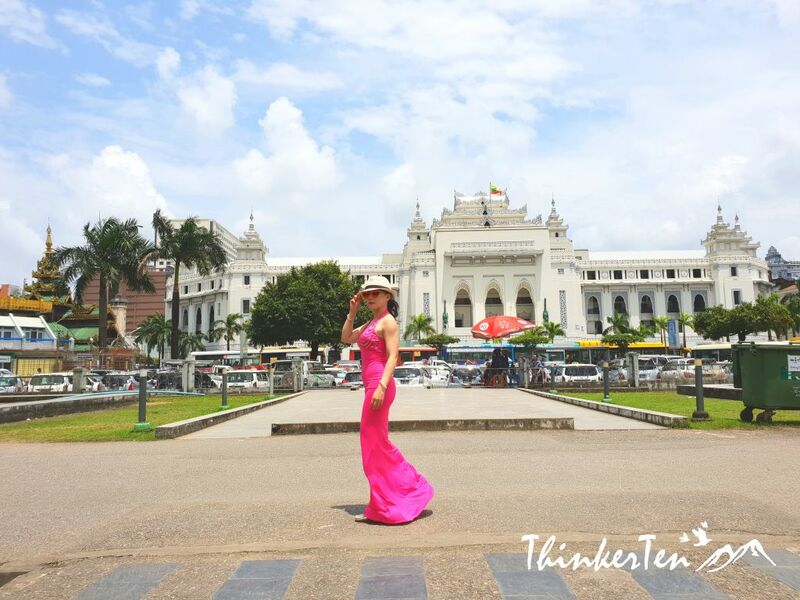 Yangon is the old capital of Myanmar and also Myanmar largest city and most important commercial centre. It is still very backward and far behind from other part of South East Asia country such as Thailand and Vietnam. 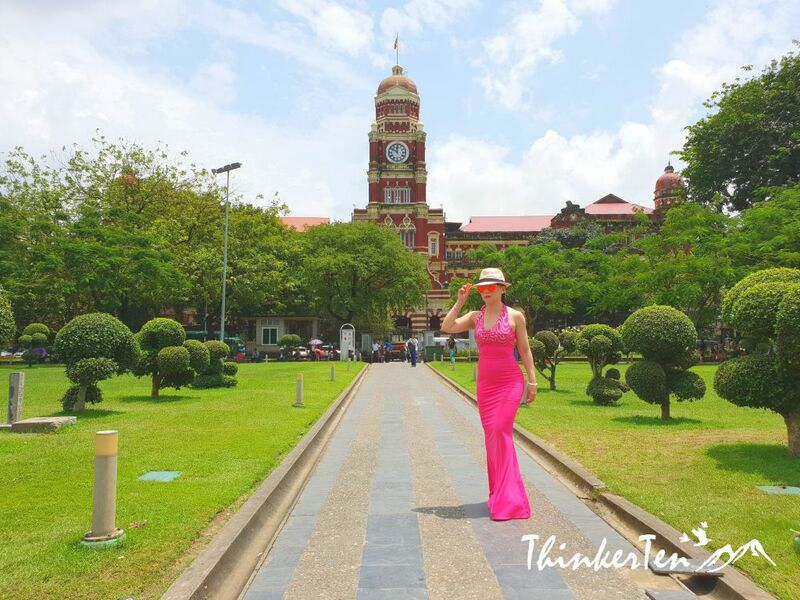 This city use to be bustling trading hub at the turn of 19th century, but when the General Ne Win, a dictator who took over government, foreigners were forced to leave Yangon and the city deteriorated fast and fall behind. Many of the colonial buildings are still very run down and no maintainance and no restoration. Myanmar has rich history and beautiful cultural sites. Thanks for sharing your experience. What beautiful places with amazing structures, I’d love to visit! Wow, such a detailed post that would be so helpful to plan a great trip to Myanmar. Loving the pictures so much. As usual your post is detailed and lovely. And the city looks just great. The pictures are awesome. Definitely a destination I want to travel to in the future!! I have never been there but definitely one of the destination that I really want to visit and to explore in the future. We have not visited Myanmar yet, it is so beautiful. Hopefully one day soon we will visit. You may want to include Bagon as it is one of the must visit city in Myanmar. Bagon city is also a land with pagodas, people usually go for hot air balloon to see all the different pagodas from the top. I did not do it this time, only stay few days in Yangon. I’ve always been curious about Myanmar. One of my ballroom dance partners was from Yangon and told me a bit about his countries turbulent history. The city looks very intriguing. Thanks for sharing these helpful tips. Great to learn that you do ballroom dancing, I did learn a little many years ago and simply love the ballroom vibes. Yes, Myanmar do suffer for the past decades but luckily it over now as the country open up recently and more changes will be seen. Walking is my #1 favorite activity when visiting a place. It makes me feel like I belong to the place and in this case you’ve showcased a very beautiful city! Nice structures too! You are totally right, walking can bring you closer to the locals too. Wow, that is good enough, Janna; to have explored to the golden triangle. At least you have seen the border of Myanmar and Laos if you were standing at Golden Triangle Chiang Rai,Thailand 🙂 Well, I guess it is similar, except 20 years backward from Chiang Rai. This city looks like it is filled with rich culture. The colors are beautiful!!! I have always wanted to travel to Myanmar! One of the cutest thing I observed when I arrived in Myanmar is to see most men and women wearing Longyi (a long skirt/ a sheet of cloth). You see them wearing for casual or even to office. And most religions sites such as temple pagodas, a dress code needed to follow. Strictly no shorts and shoulders have to be covered. However, this does not apply outside temples pagoda. So you see my bare shoulders in the walking streets as I just taken off my outer layer. Wow very well detailed and all the pictures look amazing! I guess I have captured all the beautiful things in Myanmar. The pictures taken are in heart of Myanmar, showing all the colonial buildings which are grant and stunning. If you look clearly at the High court, it is still very run down and old but luckily the buildings are built with good bricks. I think more maintenance work needed to be done to capture more tourists. However, the City Hall Building (White Grand building) look good and polished. Thank you for sharing your experience. Myanmar seems like a very interesting an great place to visit. I love your photos. Myanmar is cheap to travel but still under developed as compared to other part of Asia. If you like pagoda and backward countries, this is the place to see. I’ve never visited Myanmar but it looks so interesting especially the Sule Pagoda, it looks stunning. I would have no idea that the buildings are run down from your beautiful pictures . This is such a contrast to the culture here . It would be a fascinating place for me to see. Most of the buildings are run down, except the City Hall Yangon (the white grand building), still looking clean and feel like it has just touched up not long ago. The High court (Brown in color with a clock at the top of the tower) still look ok from far. The rest of the buildings, such as shops houses, apartment are just too dirty to look at. 🙂 I am sure life will be better from now on, especially after the opening to the outside world. You are so adventurous, I always look forward to reading your blogs about your travels, and all of these amazing sights from such diverse parts of the world.